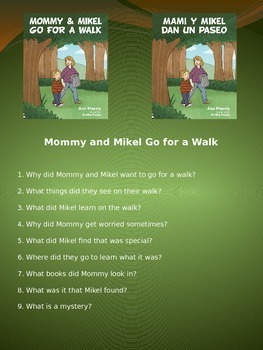 Presents a list of questions that may be asked during or after reading the book. There are multiple options of answers for some questions. Encourage discussion.